Discover our cool collection of boutique and luxury hotels in Namibia. From romantic retreats to hip hideaways, whatever your travel style, enjoy Perfectly Chilled Hotels. Surrounded by the mountains and sand dunes of the Namib Desert, Sossusvlei Desert Lodge is a sublime boutique escape to the world as it should be. Sheer silence, total tranquillity and romantic luxury. 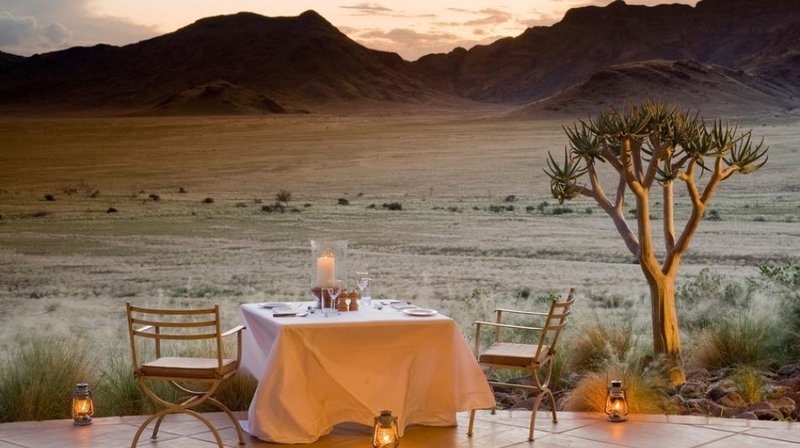 From stargazing to intimate picnics in the desert, this is an extraordinary desert wilderness.